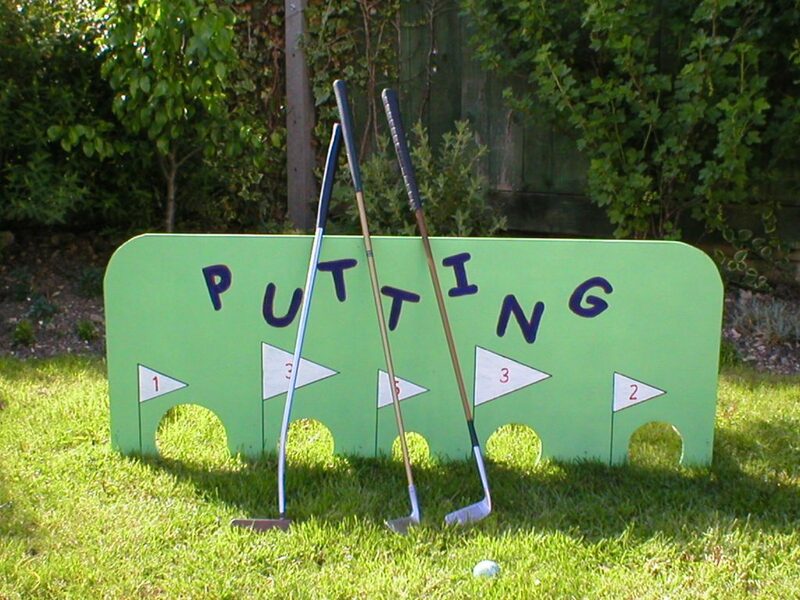 Wooden framed putting target supplied with golf balls and golf clubs. Set your own winning scores for this traditional side stall fete game. This frame is fixed so please check car size before collection.